Anything you want done, baby, we’ll do it naturally! Now that you have all the maths, it’s time to tell you what we do. Apart from producing beautifully handcrafted products, we donate a percentage of profits from every album to Books for Africa Foundation. Over the past 12 months, Books for Africa have shipped 3 million books, 93 computers & e-readers containing 223,000 digital books. We are thrilled to hear that all of the proceeds from Speak Now ’19 will be donated to The Helen Bamber Foundation that supports refugees and asylum seekers. 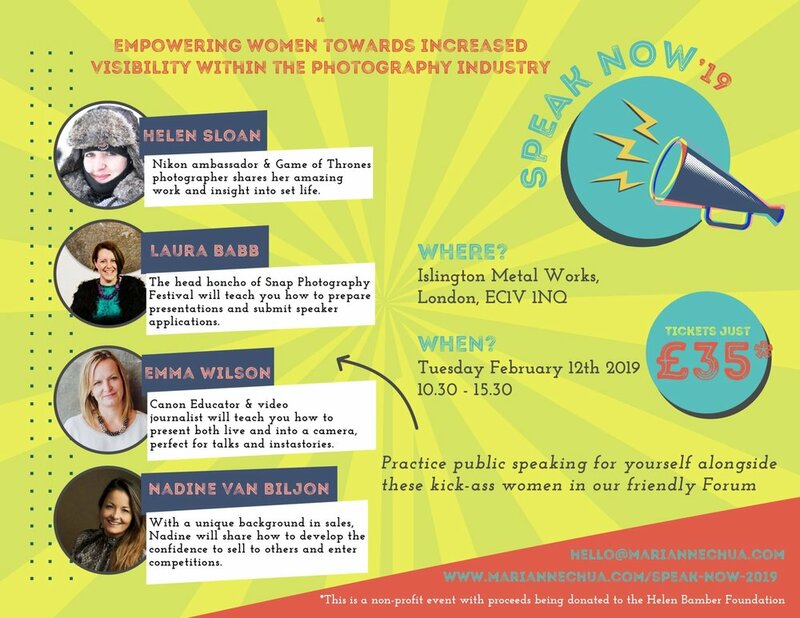 We strongly promote Speak Now '19, which is a unique event providing female photographers with the support, skills, and encouragement to take on visible roles in the photography industry. BTW – did I mention the new eco-friendly, biodegradable packaging? We do that too. We believe that women and men should be treated equally & given the same opportunities. It makes no difference what race you are, what your religion or sexuality is. We are all people who deserve one thing in our life – happiness. “Girls just wanna have fun!” – so please do, we hope that you all have a great time at the Speak Now ’19. Our ambassadors - Laura Babb and Marianne Chua will be there too. Register on our website and put Speak Now’19 as your referral to receive 15% off from your first order. We will e-mail you the details once you register. T&C Apply.